The family will embark on a trek on I-40 from Ok. City to Albuquerque in a couple of weeks. Since we consider great eats the true reward for spending hour upon hour cooped up in the minivan, your roadfood suggestions will be much appreciated. Thanks. There are several great places listed on the restuarant review section here. 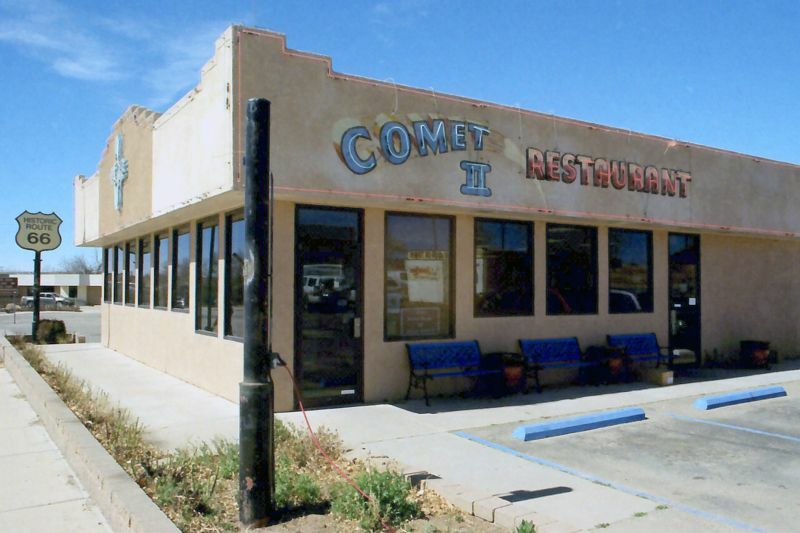 One place not listed is The Comet II on old route 66 in Santa Rosa New Mexico, on the west edge of town. Several years ago I had the best steak ranchero I've ever found. I don't remember what my wife had but she loved it. Wonderfull looking and smelling homemade pies, but I had no room. Very clean and cheerfull. Big colorful mural on the east side of building. I'd love to go back, but I don't get down that road often. We just covered this turf a week ago, when called to assist one of my sons with his moving back to Louisville from Phoenix. The El Reno (OK City) to Gallup stretch is one long day for us. Amarillo,TX is the main stop of the day one that leg of the trip. Beans and Things on Amarillo Blvd. 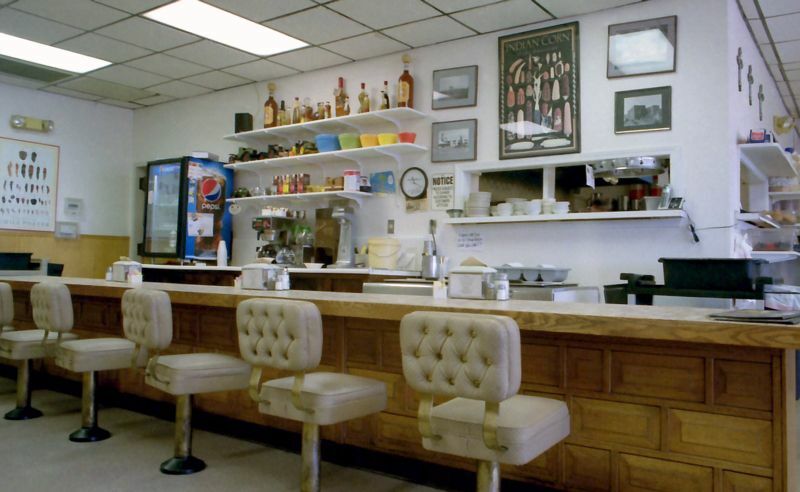 (1700East) is reviewed in Stern's book, and I recommend it for a "buy it and take it with you" BBQ stop. If you are ready for a sit down BBQ dinner/Lunch try DYER's (at exit 68B off I-40) Order by the plate or the AYCE. The sausage isn't one to jump for and they use Pork Loin instead of Shoulder...It is good, but came as a suprise to us Pig-Pickers. The Brisket is Good and so are the Ribs. We didn't try the Ham. Another stop for snack stuff is at Jiggs Smoke House on the west side of Clinton,OK. Jerky to go, and finely choped BBQ are available. The jerky can keep kids gnawing peacefully for miles !! I second the Santa Rosa note above...There are a couple of Rt 66 places along the old road in town. Take a run thru the town if it is break time and enjoy an old time experience. BTW Gas Prices are lower in Amarillo than the rest of Western TX and eastern NMex. Tank up there! Last week we paid 1.35 there, and saw nothing but 1.49 to Albuquerque...where it dropped to 1.35 again...go figure. Why start a new thread when an old one can bring back memories? On our way home from Arizona in March we stopped at Comet II in Santa Rosa and had a very enjoyable lunch. Tables, booths, and counter seating. 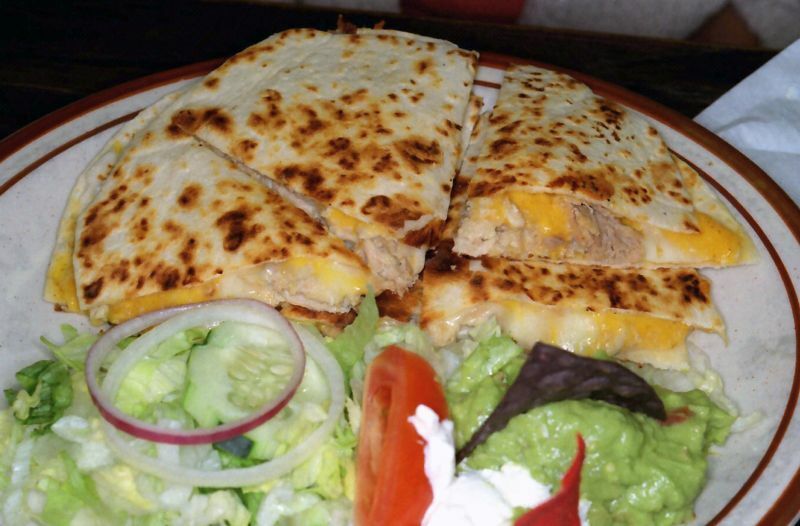 Mrs. C went with a chicken quesadilla. She said it was good but there were a lot more interesting things on the menu. Like New Mexico tamales, of course! 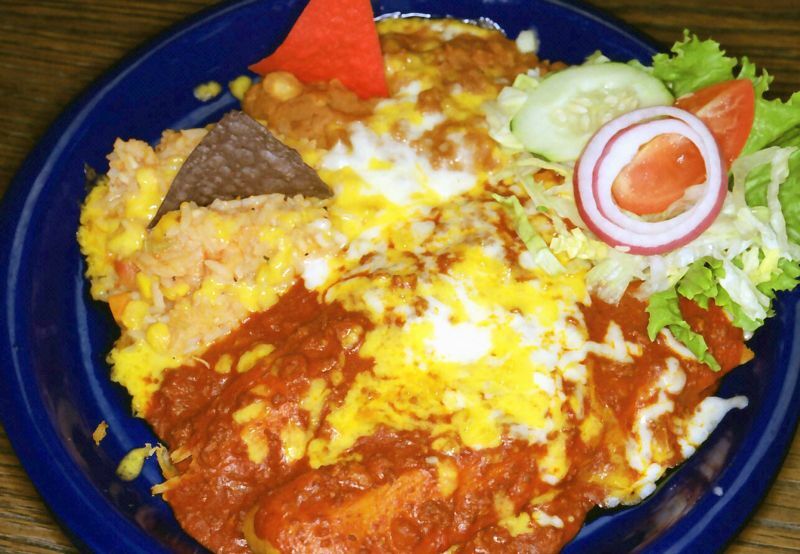 I'm absolutely no expert on Mexican/New Mexican food but I do know what I like, and I loved this plate of food! Not only were the tamales and sauce very tasty, but the rice & corn and beans were excellent as well. IMO Comet II is definitely worth a stop! In New Mexico it's all about the sauces! You're showing my favorite plate... totally covered. I have driven back and forth between Los Angeles and OKC twice. I am interested in possibly taking the Amtrak to OKC for my next trip. I'm interested in filming a video of my trip.